It just so happens that the team from MCN recently took a life changing trip full of discovery on the Natchez Trace Parkway - a 444 mile road that represents America's longest national park. When we arrived in Natchez we soon noticed that the town was plastered with posters for a band by the name of Bishop Gunn. We took that as a good sign because we had already been invited to cover their CD release party at the Franklin, Theatre on May 08, 2018 in Williamson County. TN. Bishop Gunn - From Natchez to Nashville - just like the mythical pioneer road. The making of Natchez explained the band's origin in an opening 15-minute long documentary that directly proceeded the quartet's potent and powerful set. The video detailed how the group with roots in rural Mississippi moved to Leiper's Fork, Tennessee to start making their debut at The Purple House. Soon, they were adding additional tracks to the record in nearby Alabama. They shared that they were the first act to lay down tracks in the newly re-opened Muscle Shoals Sound Studio and revealed that they recorded at Fame on the same day that legendary founder Rick Hall had passed away. From the stage in Franklin leader singer Travis McCready commented that they are making friends everywhere that they go and in Nashville that includes rock royalty and a television star. Mike Wolf of History Channel's American Pickers was an early advocate of the outfit that just might become the future kings of rock with humble roots. Perhaps, BG could be one of his greatest finds, yet. In 2017, they appeared on Kid Rock's 8th Annual "Chillin' the Most Cruise" and was voted the best band on the boat by the "chillers". 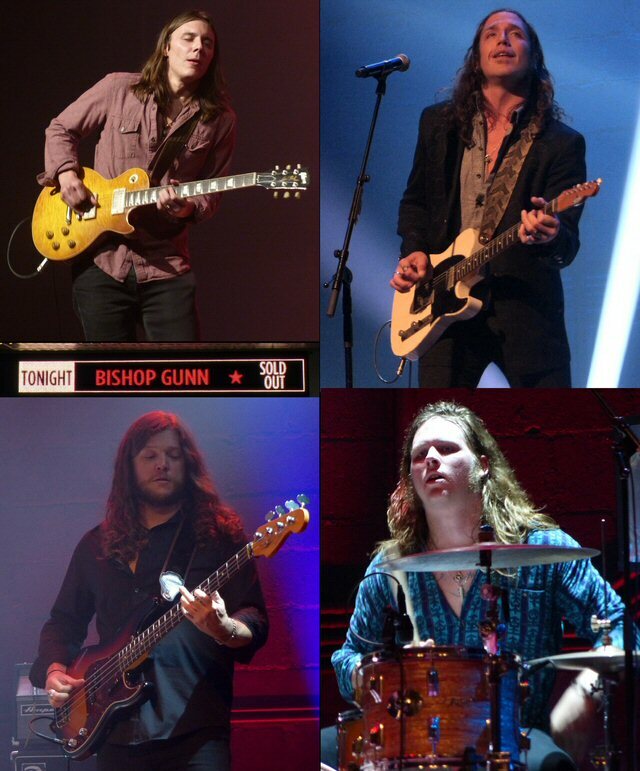 Bishop Gunn also played a notable set at the Pilgrimage Festival in Franklin last September alongside artists like Justin Timberlake, Eddie Vedder, Mavis Staples and Gary Clark Jr. So, it made sense that this relatively young and unknown band rounded out by Burne Sharp (drums), Drew Smithers (guitar) and Ben Lewis (bass) were celebrating their CD release at a sold-out Main Street venue. They clearly have ample respect in the region. Friends, media and industry insiders packed the house for a joyous event that was itself being professionally filmed for future release. As you might expect for a group who named their first album for their hometown their sound is very much rooted in the history and the surrounding Delta. As Led Zeppelin borrowed from the music of the region, now Bishop Gunn is mining from that famous four-piece. At most times during the 90 minute concert they echoed of Zep with their high-octane swagger-infused performance. They demonstrated that proficiency with a fitting and convincing cover of their "What Is and What Should Never Be". Scenes from the Bishop Gunn CD release party in Franklin, Tennessee. Of the music, vocalist Travis McCready explains, "I've always been a fan of music-all kinds, all eras - it makes up the ingredients of who I am as a musician. From grunge, and 70s rock and roll to 60s soul and the blues of the decades before that and even some funk and hip-hop. Combining these influences into an authentic rock sound was the goal when we first started working on this album, and with the variety of players in this band, it came very naturally." Bishop Gunn paid homage to the lesser known version of "Hey Jude" by Wilson Pickett (with help from Duane Allman) recorded back in the day in Muscle Shoals. The band's triumphant gig also included the lion share of songs from the debut Natchez showcasing the bright lead single "Shine" and the winning "Wheels" that kept the night moving along nicely. Travis said they were soon heading home to play a show the Bishop Gunn Crawfish Boil in Natchez, MS where they were set to put more rock and roll, blues and soul on display at a festival they can call their own. You can also catch the band locally when they take the Trace to Tupelo for a slot on the always popular annual Elvis celebration. The rest of the summer will find the guys rolling on the road on select dates with Black Stone Cherry and The Outlaws. When we were in Natchez on our trip we wondered if this town and Nashville connected by one road and centuries of history could possibly someday become musical sister cities. 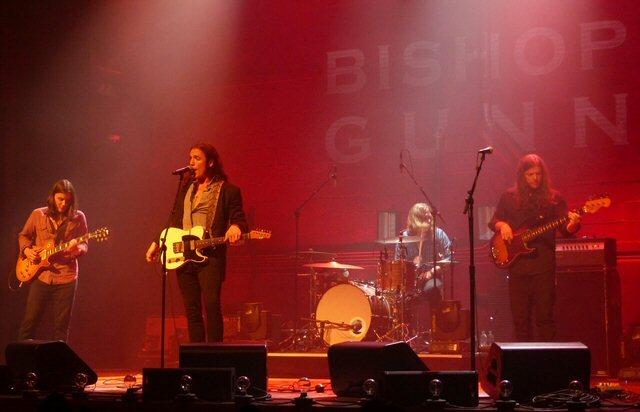 On the strengths of bands like Bishop Gunn - we could see that happening. The legendary Franklin Theatre is located conveniently in the heart of downtown Franklin on historic Main Street. The charming venue is in close proximity to a wide variety of shops and restaurants. Upcoming events include Gary Puckett and The Union Gap, John Waite, Charles Esten and Chubby Checker. 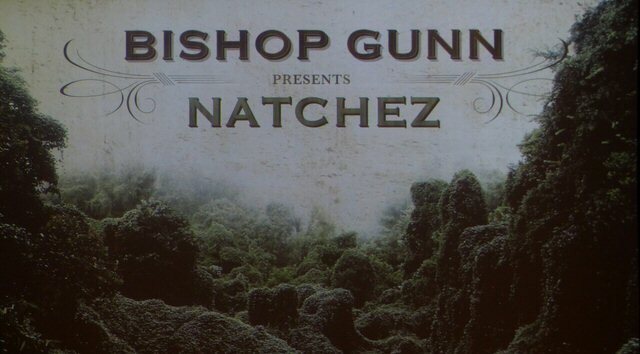 Bishop Gunn released their debut Natchez in May of 2018.